Since 2016, Sea Shepherd Global has been providing the use of the M/Y Bob Barker as a civilian offshore patrol vessel to defend, conserve and protect critical tuna habitat in Central West Africa. 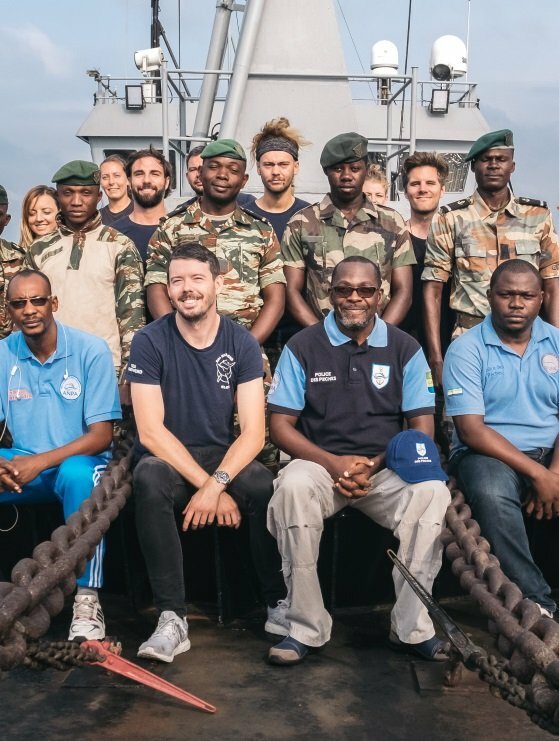 In July 2018, a year after Gabon declared the creation of the largest network of marine protection areas in Africa, Sea Shepherd has launched its third campaign in partnership with the Gabonese authorities. Gabonese marines (Marine Nationale), fisheries inspectors with the Gabonese Fisheries Enforcement Agency (ANPA), and rangers with the National Agency of National Parks (ANPN) will be stationed on-board Sea Shepherd's M/Y Bob Barker, working alongside Sea Shepherd crew to patrol Gabon's sovereign waters. These patrols will provide a vehicle for law enforcement to defend, conserve and protect critical tuna habitat in Central West Africa. In August 2016, Operation Albacore was expanded to include the Central African island state of São Tomé and Príncipe. With the assistance of Sea Shepherd, São Toméan authorities boarded a Spanish-flagged longliner with a license to fish for tuna, and discovered fish holds filled with sharks with their fins removed, in violation of the European Union Finning Ban. Of the global catch of fish, 15-40% is estimated to be caught by IUU operators, and 90% is caught in waters that fall under the authority of a Coastal State like Gabon. 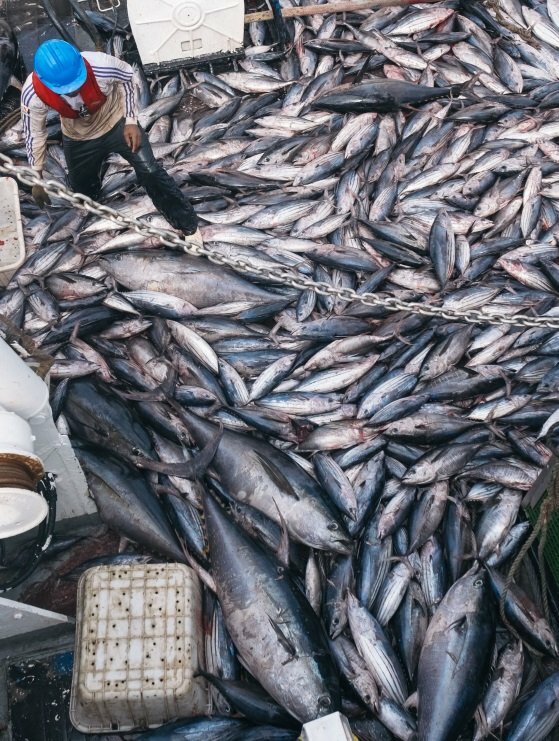 IUU fishing undermines efforts to conserve and manage fish stocks, and greatly disadvantages those fishers that follow the laws and fishing guidelines. Complicated systems of trans-boundaries in the Gulf of Guinea, coupled with the fact that operational resources of many regional Coastal States are already stretched thin, is why IUU fishing is so prevalent in waters off Africa's west coast. 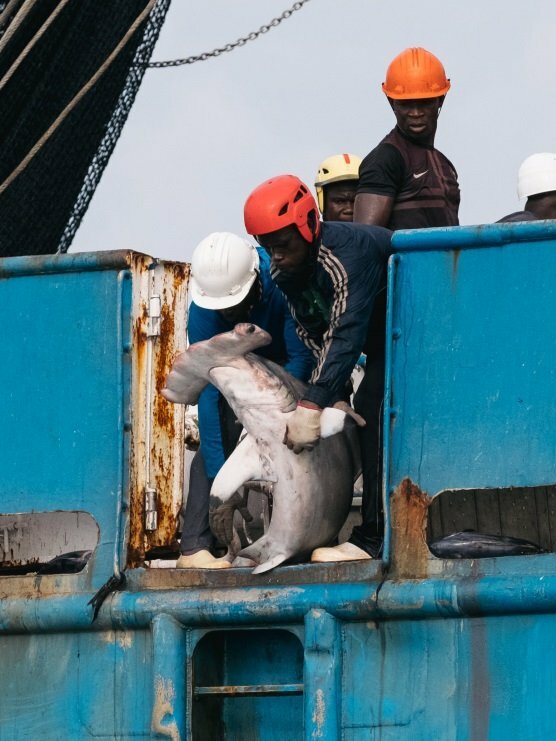 In 2016 and 2017, the M/Y Bob Barker patrolled the Gulf of Guinea, assisting in over 80 at-sea inspections and boardings, resulting in the arrest of arrest of eight IUU Congolese fishing trawlers and one Spanish long-liner. Often, non-target species such as sharks, dolphins, rays and turtles become trapped in industrial fishing nets. These unwanted species are known as by-catch. In addition to documenting and reporting the by-catch to Gabonese authorities, Sea Shepherd crew also released several endangered species such as Bryde’s whales and whale sharks entangled in these nets. In June 2017, at the United Nations Ocean Conference in NYC, Gabon declared the creation of nine new national marine parks and 11 new aquatic reserves. Operation Albacore is part of Sea Shepherd Global's Voluntary Commitment for the Ocean that aims to contribute to the implementation of Sustainable Development Goal 14: Conserve and sustainably use the oceans, seas, and marine resources for sustainable development. 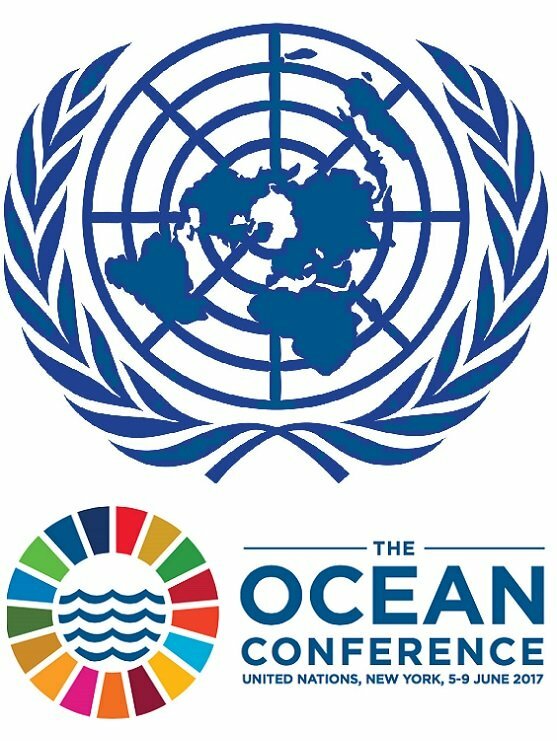 Our #OceanAction17190 commits to partnering with African Coastal States to eradicate IUU fishing in their sovereign waters. Sea Shepherd's second campaign for Operation Albacore will help enforce Gabon's newly protected coastal waters.